So it's now less than a week to go until your ultimate adventure weekend at the Apex Extreme 2011 and we want to make sure we're hitting all the right notes, and that's where you come in! We want all your requests for what songs you'd like to hear during the weekend. 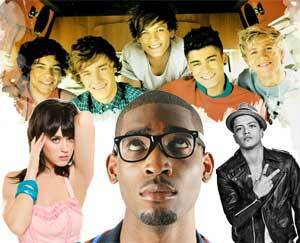 You've got until Wednesday night to let us know if it's Tinie Tempah you want to hear more of, or maybe some Katy Perry and Bruno Mars or the chart topping debut single from One Direction. Whatever you want to hear, we want to know, so leave us a comment below or head to our Facebook page and stick a message on there to say what tunes you want us to play. You've got until Wednesday night to get the message in!